MLB Opening Day is a holiday in St. louis and Cardinals Nation — even if Congress has yet to officially recognize it as a National Holiday. And Celebrating that holiday with an annual blog post has become a wonderful tradition. Here at Cards ‘N Stuff, we usually like to take a look at each player on the Cardinals’ roster — a little something to prepare you for the expectations of a new season — so this year, we did it quick-hits style with a 25-item list of player-by-player observations, notes, and general expectations. 25. Matt Holliday hit an even .300 in 2013. That was his seventh season with a .300 or better average in ten seasons of Major League Baseball. In his rookie season of 2004, the he posted a .290 average, the lowest of his career, and hit .296 and .295 in 2011 and 2012 respectively. Even Vegas would bet on another .300+ season from the Cardinals’ #3 hitter. 24. Allen Craig, despite his reputation as a killer cleanup hitter with super powers with runners in scoring position, has never hit 100 RBIs in a season. In 2011, he hit 92, and in 2012, he hit 97. 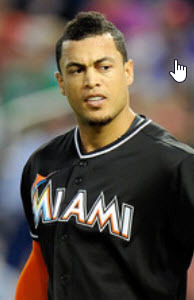 If he stays healthy, he’ll likely post the most prolific season of his young career and amass 100+ RBIs in 2014. 23. Jon Jay could very well lose his starting center field position to newcomer Peter Bourjos in 2014 — but don’t think for a minute that the Cardinals see him as expendable. In four seasons and 1,733 at-bats at the MLB level, Jay has a .293 batting average and a .356 on-base percentage. Those may not be All-Star stats, but they’re nothing to shrug at either…especially when the Redbirds have two All-Star sluggers flanking Jay in the corners. An eventual modified platoon between RH hitting Bourjos and LH hitting Jay may be the best outcome for all involved. 22. Matt Carpenter became possibly the best leadoff man in the game in 2013 with an outstanding OBP and a literal bushel of doubles. 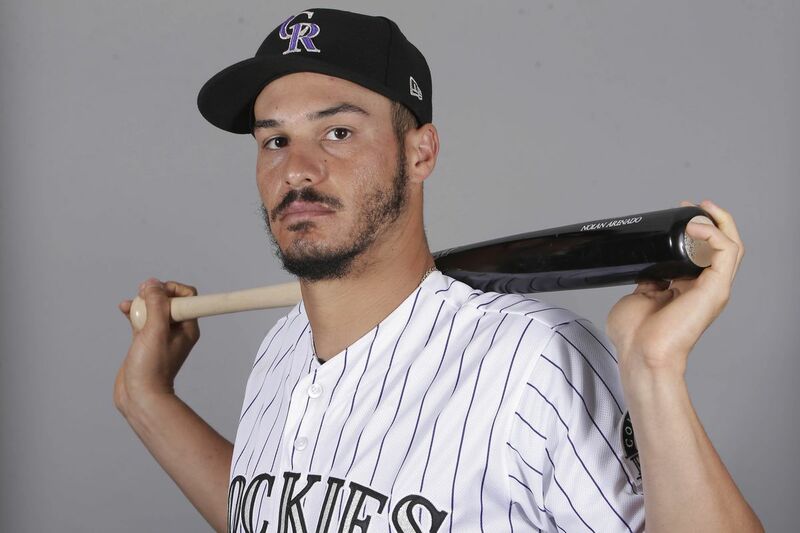 But would you believe he could be hitting second by the end of the season? 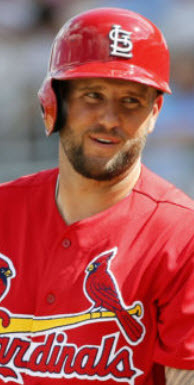 With no true number two hitter in the lineup and rookie Kolten Wong flashing a leadoff-worthy bat (and base-stealing legs), Carpenter’s doubles-dealing swing likely has manager Mike Matheny drooling over his potential RBI totals from the second spot in the order. It couldn’t hurt to have the team’s best on-base hitter walking more than a few times directly ahead of Holliday and Craig either. 21. Johnny Peralta has a habit of following a good offensive season with a bad one (fyi, he hit .303 in 2013), but this year could be the exception. Peralta is due to get more than a few appearances in the two spot ahead of Holiday and Craig — at least until Matheny sorts out the Carpenter/Wong tandem — and that means fastballs. Look for Peralta to get a jump start to the season by slugging ahead of one of the best 3-4-5-6 (Holliday-Craig-Molina-Adams) combos in the game. 19. Matt Adams is out to prove he can consistently hit LH pitching. Last offseason, he used a machine to simulate at-bats against LH pitchers. This offseason, he faced real live LH pitchers. The human factor seems to have helped. In 20 spring training at-bats, Adams posted a .350 average and swatted one home run. 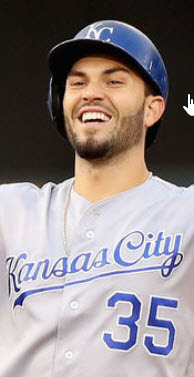 If he can carry anything close to those results into the regular season, only the most extreme left-handed pitcher will see much success against Big City. 18. Yadier Molina built a reputation as an opportunistic base-stealer. In 2009 and 2010, he stole 9 and 8 bases respectively. In 2012, he topped both with 12 steals. But last year, the word seemed to have gotten around as Yadi only swiped three bases, his lowest total in five years. This year, however, the team seems to be making a push for speed and the appropriately called stolen base attempt. In fact, Molina seemed to be sending a message this spring when he stole his first base in a spring training game since 2009 (when he stole two). Perhaps this is the year when Molina once again reaches double digits in stolen bases. 17. Adam Wainwright may finally be in line for his first Cy Young Award. After finishing second twice, there seems to be no clear favorite outside of Waino for 2014. Clayton Kershaw, the reigning Cy Young winner, started the season (not counting those two games in Australia) on the DL with a bad back. This is not surprising given the sheer number of innings Kershaw threw last year. When on the mound, he may still be the best pitcher in the National League…but he has to stay on the mound for a large majority of the year to beat out a strong Wainwright. That may not be something Kershaw can do. Advantage: Wainwright. 16. Michael Wacha is still less than two years removed from being a college pitcher. Since becoming a professional player in 2012 (in the minor leagues), Wacha has thrown a total of 204.1 innings (minors and MLB regular seasons + minors and MLB postseason). The Cardinals may look for him to throw more than 170 this season alone — and that doesn’t even count the 30+ innings he could throw in October. Look for Matheny to find ways to manage Wacha’s innings count in the middle of the hot St. Louis summer, perhaps even getting a few skipped starts here and there. 15. Shelby Miller’s absence from last season’s postseason run may still be a mystery, but Miller appears focused on showing the Cardinals what he can do in 2014. He’s going to get his shot sooner rather than later. Slated to pitch a game against the Pirates in Pittsburgh, a strong performance could go a long ways towards convincing Matheny he no longer has to be babied through match-ups. Remember, it was Miller’s struggles against the Pirates during the 2013 regular season that partially contributed to his lack of pitching opportunities in October. Handle the Pirates right off the bat in April, and he may get a shot to do it again in October. 14. Lance Lynn is pitching with a chip on his shoulder — again. It seems no matter what Lynn does, he always comes into camp fighting for a starting rotation spot. The fact seems mildly offensive to the former All-Star. After following a Cardinals’-suggested diet plan before the 2013 season, Lynn seems to have taken back control of his fitness program and appears to be ready to prove he’s a pitcher to be reckoned with in 2014. Lynn may very well turn in the best year of his career this season and finally cement his place in the St. Louis starting five. 13. Joe Kelly has finally earned the right to start the season in the rotation — sort of. After losing a battle for the rotation to Carlos Martinez in spring training, Kelly actually won the fifth starter’s spot and sent Martinez back to the ‘pen. When Jason Motte returns, Martinez is likely to head back to Triple-A to prepare for the late-season starting pitcher role — think Michael Wacha — but if another aspect of the ‘pen is in shambles, Martinez could stick. That creates an interesting scenario for a club that wants to protect Carlos’ innings and appearance totals for late-season reinforcements. If Jaime Garcia can come back and be effective, Joe Kelly could slide back to the ‘pen and free up Martinez for Triple-A starts. 12. Keith Butler was the last man standing among bullpen candidates for an MLB roster spot. The Cardinals are clearly concerned about their ‘pen situation heading into the season — otherwise they wouldn’t have signed veteran reliever David Aardsma, now pitching in Memphis. Butler has a chance to show the Cardinals he deserves to be here, and that could be exactly what the Cardinals want. When Jason Motte returns, someone in the ‘pen has to go down to Triple-A. St. Louis would like to have the freedom to make that person Carlos Martinez so he can prepare for a late-season starting spot…but if Butler can’t hack it in an MLB ‘pen, they may have to keep Carlos and send Butler down to make room for Motte. Long story short, Mozeliak may be Butler’s biggest fan in the month of April. 11. Randy Choate suffered from a chronic case of MPS last season — Missing Pitcher Syndrome. His extreme lack of use was surprising given his success against the top left-handed hitters in the game (of which the NL Central has plenty). With the Cardinals starting the season in Joey Votto’s Great American Ballpark, that’s likely to change in 2014. Look for Matheny to take better advantage of lefty-on-lefty match-ups this season, and Choate is going to be THE key piece to that late-inning puzzle. 10. Seth Maness barely squeaked in this season. His spring numbers were less than impressive, and he lacks the power arm of many relievers from the Cardinals’ farm system. If he can’t get the reliable ground ball on command, he’s expendable. He’s just one more example of vulnerable relievers who need to prove something in the first two or three weeks of the season. 9. Kevin Siegrist may have starting pitcher in his blood, but with Jason Motte on the mend, Carlos Martinez likely ticketed for Triple-A, and Trevor Rosenthal in need of the occasional “break” from the ninth inning, Siegrist could be the best option for the occasional fill-in save. If Motte can’t be the Motte we all expect him to be, Kevin could find himself as 8th inning setup man too. 8. Pat Neshek is a good story. He’s a likable guy with a unique arm angle and versatility that could fill multiple needs late in games. 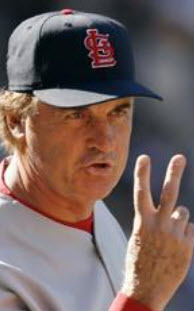 Don’t be surprised if Matheny leans on him in late inning, high-pressure situations. Be even less surprised to find him filling the “fireman” role when Matheny needs a pitcher to come in and put a RH slugger on his heels with runners on base — especially before the 8th inning when he’s trying to avoid breaking script. 7. Carlos Martinez could be in for a rude awakening in Cincy. After participating about a week or so too long in a bogus fifth starter competition, Martinez got a total of one — one! — relief appearance in spring training. And that appearance wasn’t exactly good. Now, he’s expected to throw the 8th inning against a very dangerous offensive lineup…possibly on back-to-back days. This could be a very rocky start for a possibly unprepared Carlos Martinez. 6. Trevor Rosenthal is in for a very long season. Take note of Jason Motte’s current standing on the Cardinals’ roster (Hint: He’s recovering from TJ surgery). After Motte took over the closer role late in the 2011 season, he started the year as closer in 2012 and recorded every save the Cardinals recorded that summer. 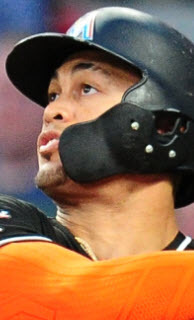 In spring training of 2013, he required TJ surgery and was out for the season. 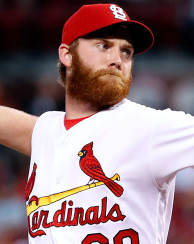 Look for the Cardinals to learn from Motte’s experience and find ways to spell Rosenthal — another high intensity, high velocity thrower — during the season, especially with no shortage of late-inning options in the ‘pen. 5. Shane Robinson sees the writing on the wall. In a system of power-hitting outfielders, Robinson is the runt of the litter. A good hitter and overall good ballplayer, Sugar Shane is likely playing his last season as a St. Louis Cardinal. If his career is going to continue moving in the right direction, he likely has to move to a new city and start over with a new team. 4. Tony Cruz better be prepared. The Cardinals are well aware that Yadier Molina and the catching position is the only unprotected position on the field. Injuries to outfielders, infielders, and pitchers can all, to a point, be absorbed by a deep farm system and bench. But an injury to Molina will likely be catastrophic. Not only that, but Mozeliak would likely have to give up a future piece of the club in a trade to acquire a temporary catching replacement for Yadi. All of that means Cruz is likely in line for a dramatic increase in playing time so Molina doesn’t wear out those balky knees. If Molina is the most important piece of the Cardinals’ lineup, does that make Cruz the most significant bench player for a Yadi likely to see a significant increase in off days? 3. Daniel Descalso has proven to be a highly viable asset off the bench for the Cardinals. He can play gold-glove level defense at two positions in the infield with the ability to hold down shortstop as well. His bat has the ability to change a game when given the late-inning, pinch hit opportunities. And he’s a clubhouse guy. Expect another strong season from Dirty Dan. 2. Pete Kozma is in a difficult situation. With Johnny Peralta ahead of him at the major-league level and Aledmys Diaz now behind him in Double-A Springfield, Kozma has, at best, one more season to show the Cardinals why they should keep him in the organization. On one hand, his potential trade value is never going to be higher than it is right now (starting shortstop for the NL Champs). On the other hand, Diaz isn’t quite ready and Kozma is excellent insurance if something happens to Peralta. But don’t expect Kozma to last much longer than the 2014/15 offseason. 1. Peter Bourjos has a chance to keep John Mozeliak’s streak alive. The last time Mo traded a St. louis icon to California, he got a future one in return. Jim Edmonds’ departure for San Diego sent David Freese to St. Louis. The rest is history. This time, Freese — now an icon himself — is the guy sent west to play with the Angels, and Bourjos is the return asset. The RH center fielder has the skill to be a stalwart in the Cardinals’ lineup for years to come…or he could flop. If the former turns out to be true, one could say Mozeliak traded former center fielder Jim Edmonds for a World Championship and ultimately the Cardinals center fielder of the future. If the latter happens…well…there’s still Randal Grichuk. Bonus (Part 1): Mark Ellis is going to be a huge bench improvement for the Cardinals — assuming he can get on the field and then stay there. 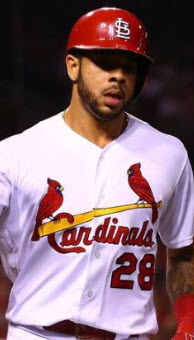 With starter’s ability in many lineups, Ellis has the ability to play multiple positions as well as give the Cardinals a quality, veteran at-bat in key situations off the bench. He’s a vital piece of the Redbirds’ depth. If he can’t prove physically reliable all season, the Cardinals will likely be looking for veteran infield help in July. Bonus (Part 2): Don’t be surprised to see much of the Cardinals’ bullpen reconstructed by June or July. Maness and Butler are both expendable and possibly on a somewhat extended, personal spring training. Don’t pitch effectively early, don’t hold a job come mid-season. Martinez, on the other hand, finds himself in the position of being too good for the ‘pen come August. By then, the Cardinals are going to be looking for starts from a sixth man from Memphis. They would like that man to be Martinez, but to be that man he has to exit the bullpen and start stringing together starts in Triple-A. So far, that’s three of seven bullpen pitchers. Assuming Rosenthal’s arm doesn’t fall off, that only leaves three more pitchers in Randy Choate, Kevin Siegrist, and Pat Neshek. Choate should be sound, but Siegrist has already experienced mild arm problems — reportedly of no concern — and Neshek is somewhat of an unknown quantity. In other words, Memphis bullpen pitchers better stay on high alert. That’ll do it. Enjoy the Opening Day show. Baseball is back and nothing can beat that. I enjoyed your quick-hit article. It should be a good year with a lot of high quality players. Hoping that the team and clubhouse chemistry holds up, but I’m somewhat doubtful. Go Cardinals!! I always speent myy half an hour to read this blog’s content every day allong with a mug of coffee.